Applications for 2019-20 New Farmer Full-Year Apprenticeship will be accepted beginning July 1, 2019. The New Farmers Full-Year Program is designed for aspiring new farmers. 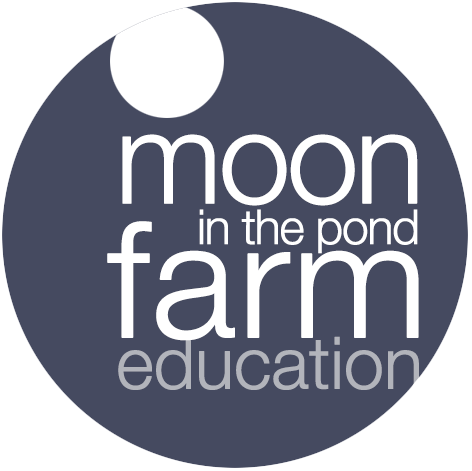 Apprentices study, work, and live at Moon In The Pond Farm and participate in all of the broad series of tasks and functions required to support, maintain and operate a diverse, actively productive, small, sustainable farm. Apprentices can expect to muck, mulch, milk, mow, herd, hay, harvest, hoe, water, weed, weed, seed, feed, fence, fix, forage, clean, weed, plant, transplant, tidy, weed, clean, scrub, pick, stake, rake, wash, weed, build, record, sweep, swear, study, organize, observe, report, clean, cry, compost, cook, swear, laugh, laugh and laugh. There are always special projects underway and all projects are special. Work is life and includes at least 55+ hours/week, with hours and days varying necessarily. We work hard at a steady pace, outdoors, in the sun/rain, cold/heat, beautiful Berkshire weather. An Apprentice stipend of $600/month is paid in addition to room, board and instruction. It is necessary that applicants assess their financial status and determine if they are able to support themselves for the duration of their commitment. The following is the typical timeline. We begin taking applications July 1 for 11/15-12/15 start. July 1: Applications are accepted beginning in July and until 3 positions are filled. October 15 – November 15: Apprentices are accepted. Submit the following by email with subject line “Full Year Apprenticeship”, no earlier than July 1st.